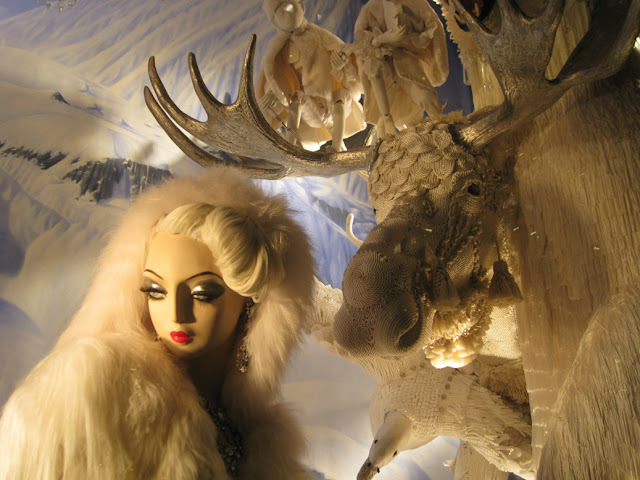 My dream job for the last 20 years or so (cough cough) has been to design Christmas window displays for large departments stores in London or New York. When you are dreaming might as well go large. It is the perfect combination of everything I love - fashion, sculpture, collage, curation and exhibit. One of my heroes in the field is DAVID HOEY who is the senior visual presentation director at Bergdorf Goodman on 5th Avenue. 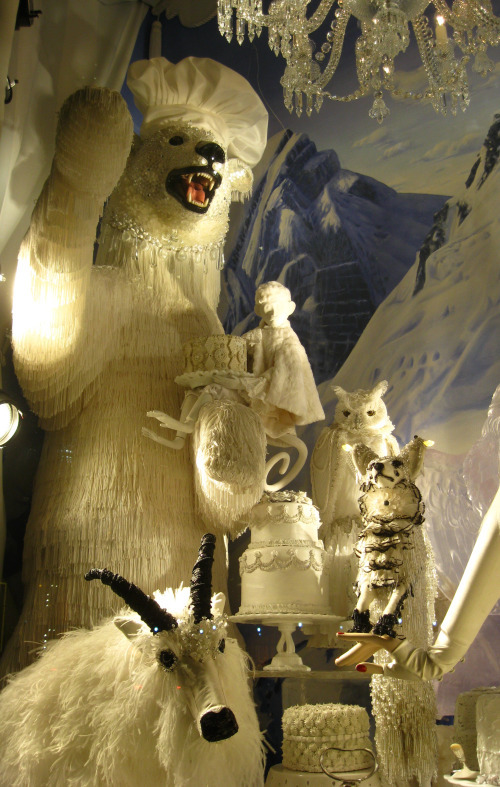 Carnival of the Animals was the theme for the 2011 windows and they are simply breathtaking in their detail. The BERGDORF GOODMAN blog is under maintenance at the moment so I collected images from all over so please excuse the lack of credits. 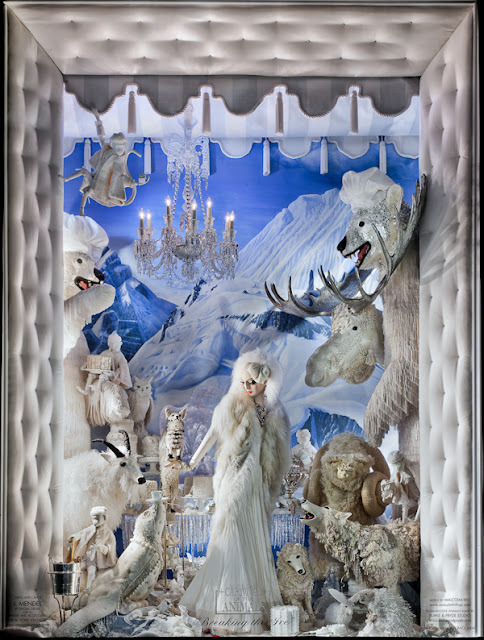 Today features the 'Breaking the Ice' window with hostess dressed by J. MENDEL. Remarkable work of art! I was amazed by your creativity. Integrating all the things that you love and having a beautiful output is a talent that a few only have.